We are very fortunate to have the best-selling children’s author Julia Donaldson living in Steyning! 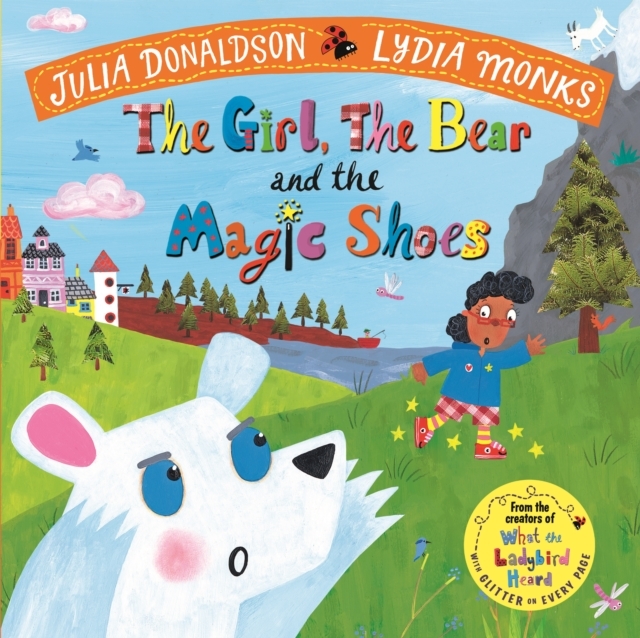 We are sure that she needs no introduction, but for those who have just returned from 20 years on Mars…..Julia Donaldson is the incredibly talented, prize-winning author of the world’s best-loved picture books, and was the 2011-2013 Children’s Laureate. 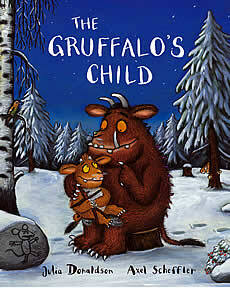 Her picture books include the modern classic The Gruffalo, which has sold over 5 million copies worldwide. 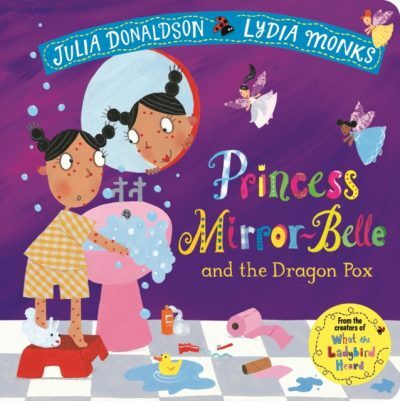 Julia also writes fiction for older children, including the Princess Mirror-Belle series illustrated by Lydia Monks, and a young adult novel called ‘Running on the Cracks’, as well as poems, plays and songs – and her brilliant live shows are always in demand. Please see our events page to find out whether Julia is coming for a signing session or performing one of her fantastic live shows in the Steyning area. We are delighted to be able to offer online ordering of SIGNED EDITIONS of Julia’s books both via a link from Julia’s website to ours, and directly from the ‘Shop Online’ area of this website. We keep signed copies of all Julia’s most popular titles in stock, and can include a signed bookplate in cases where we are unable to get the title you want signed in time. ** NEW IN STOCK! Our latest signed title by Julia Donaldson is ‘The Go-Away Bird. 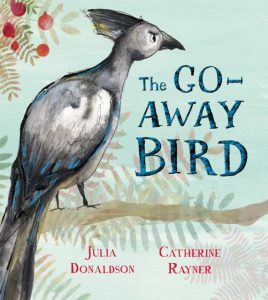 The Go-Away Bird combines brilliant rhyming verse from Julia Donaldson with stunning illustrations from award winning Catherine Rayner. 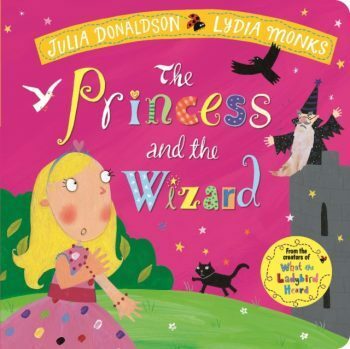 A charming story about the power of friendship it is perfect for reading together. Julia very kindly takes time from her busy schedule to do occasional workshops at local (within a 20 mile radius of Steyning) schools. If you’d like your school to be put on the waiting list for a visit from Julia, get in touch by emailing info@steyningbookshop.co.uk to discuss whether your school meets the requirements.